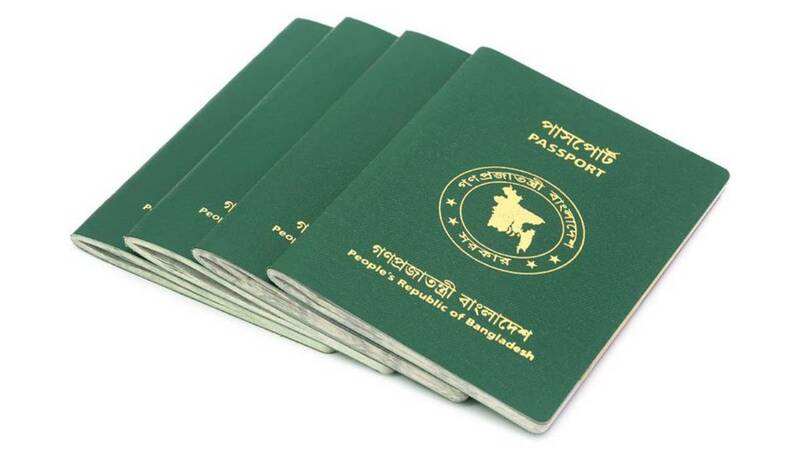 Dhaka, Jan 10 : Bangladesh has ranked 97th in the updated Henley Passport Index, gaining three notches up from its previous ranking. With visa-free access to 41 countries, Bangladesh is holding the 97th position jointly with Lebanon, Libya and South Sudan, according to the index released on Wednesday. As for the neighbouring countries, Pakistan ranked 102nd (visa-free access to 33 countries), while India 79th (61 countries), Sri Lanka– 95th (43 countries) and Nepal took the 98thplace (40 countries) and Myanmar 90th position with visa-free access to 48 countries. The Henley Passport Index is published since 2006 in cooperation with the International Air Transport Association (IATA), which maintains the world’s largest tourist information database. The 10 most powerful passports in the world are Japan (190 countries), Singapore and South Korea (189), France and Germany (188), Denmark, Finland, Italy and Sweden (187) while Luxembourg and Spain (186) on fifth position. And, the five least powerful passports in the world are Afghanistan and Iraq (30), Somalia and Syria (32), Pakistan (33), Yemen (37) and Eritrea at the bottom with visa-free access to 38 countries.